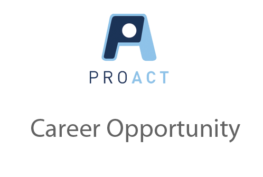 Job Posting - Bus Driver - Red Wing - ProAct, Inc. Serving people with disabilities for more than 45 years. Requirements: *High School diploma or general education degree (GED); or one to three years related experience and/or training; or equivalent combination of education and experience. Job Description: ProAct – Red Wing has both flexible hour and full-time driving positions available for driving vans and mini buses. Drivers transport persons with disabilities to and from residences and work sites. Assists disabled adult passengers into and out of vehicle. Secures wheelchairs to restraining devices, adheres to all traffic laws and ensures the safety of passengers. Hours: Flexible hour positions – we will work with your schedule! You can work mornings only, afternoons only or work a split shift. You also have the flexibility of working on certain days of the week or Monday through Friday. Full-time positions – Monday through Thursday approximately 7:00 a.m. to 4:00 p.m. and Friday approximately 7:00 a.m. to 1:30 p.m.